Move beyond Excel and consolidate all your financial data in a single solution for budgeting, forecasting, planning and reporting. Budgeting - Create accurate budgets with less labor and improve your bottom line. Personnel Planning - Get the control you need to analyze employee costs and personnel data. Sales & Revenue Planning - Create flexible forecasting scenarios to drive revenue. Project Planning - Link project plans to corporate plans and forecasts. Cash Flow Planning - Provide executives with the ability to understand financial performance and cash position. Capital Expense Planning - Integrate detailed capital asset costs into your planning process. Integrated Financial Planning - Aggregate all your company's planning data in one place. Visual Analytics - Seeing is believing. Bring your data to life and watch its behavior. Profitability Analysis - Discover which products, services, channels or customers your should maintain, adjust or discontinue. Manage multiple legal entities, intercompany eliminations, various regulatory reporting requirements, mergers and acquisitions, foreign currency translations, expense allocations and more. Automation - Automate repetitive business processes to run logically and consistently. Direct Data Integration - Bring all your data from multiple sources into one place. Stop consolidating with Excel spreadsheets! Workflow & Collaboration - Easily assign tasks and streamline approvals and collaboration from stakeholders. 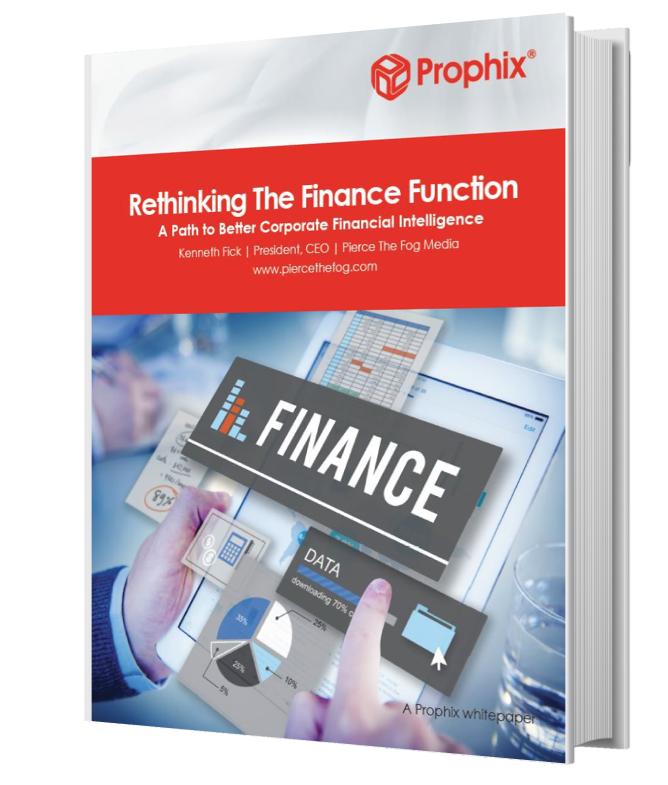 You are on the frontline of your organization's finance activities. You conduct day-to-day tasks with tight timelines and limited resources. Stop relying on disconnected data sources and Excel sheets, and start consolidating info in CPM. You prepare reports summarizing your organization's financial position for senior management, auditors, agencies and shareholders. Your reports are held to an extremely high standard - and it's all made easy with CPM software. You do more than prepare financial statements. You need to find ways to maximize profits and recommend cost reduction strategies. 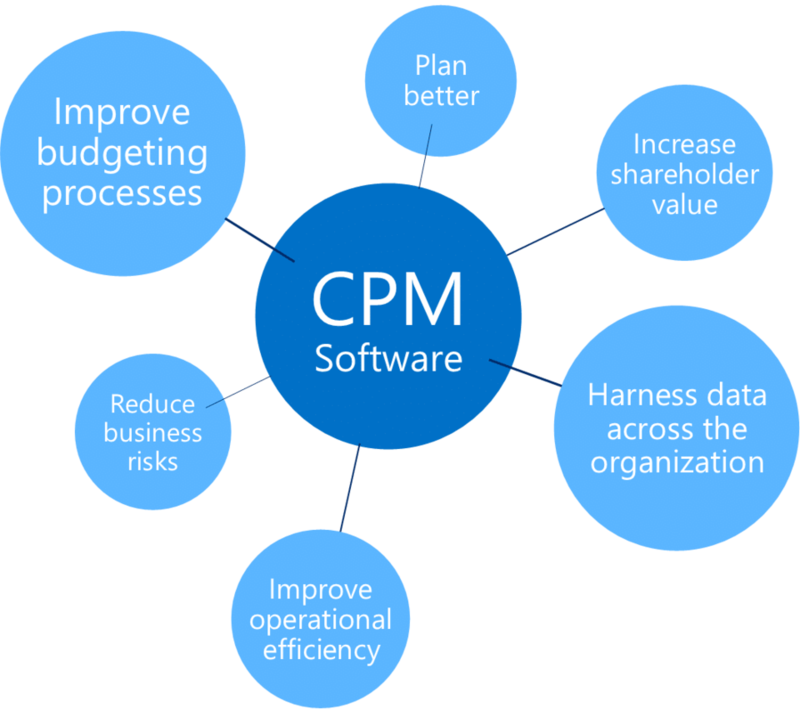 Get the insight you need with CPM software. You are accountable for your organization's past and present financial situation, but are also the architect of its financial future. Identify the most impactful projects with CPM. Take a coffee break and see CPM software in action. As a business solutions implementation partner, we deeply understand the nature of your data, where it lives and how it can be used to drive performance. We implement Corporate Performance Management (CPM) software, integrate it with your data sources and help you build reports and insights to drive business performance today and tomorrow. We can help you integrate your existing financial, operational and customer engagement software data into your CPM solution and get you up-and-running with minimal disruption to your everyday operations. Our business intelligence and reporting experts can help you identify the Key Performance Indicators (KPIs) and other metrics to design reports and uncover meaningful insight, all in one place. After your team is up and running on your solution, you can count on Turnkey for strategic guidance, technical support and educating your users with hands-on training. "I always have a good experience with Turnkey. They are the jedis. I always feel smarter and in good hands when working with them. We don't have any support without Turnkey and they're always available to steer us straight when we're in trouble. "Turnkey Technologies has robust partnerships in place which allowed them to visualize our solution as well as execute it in a way that transformed our business for the better. This innovative, effective, holistic approach to revolutionizing our ordering process has prepared Hoy Shoe Company for doings business in the 21st century." "Turnkey's technical and functional skills with CRM are a great asset. To be able to build our documents and integrate them seamlessly with CRM has made the quoting process more accessible and user-friendly. These improvements are a true testament to the quality of their people."